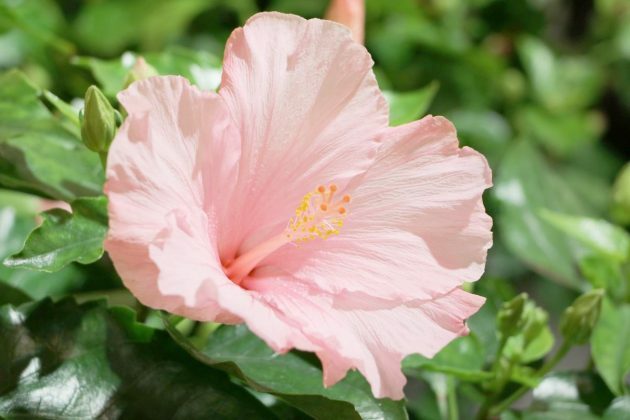 As an indoor plant the hibiscus needs a little more care than in the garden. This is normal, since the conditions in a pot differ from that outdoors. 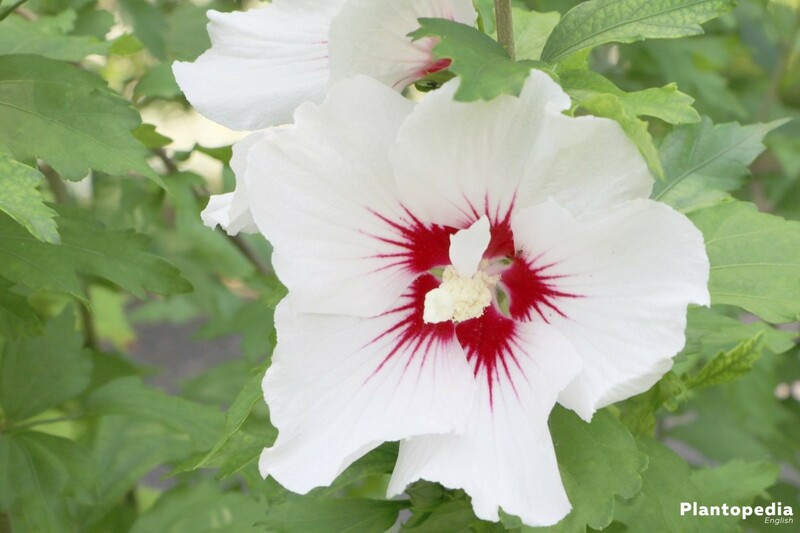 Nevertheless, it is worth having a look at the care instructions, as the so-called Chinese hibiscus feels very comfortable indoors and pampers its owners with gorgeous flowers. 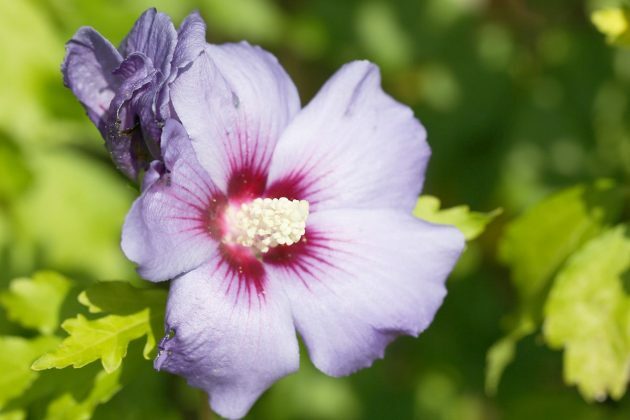 With its large blossoms the hibiscus enchants in the room as well as in the garden. 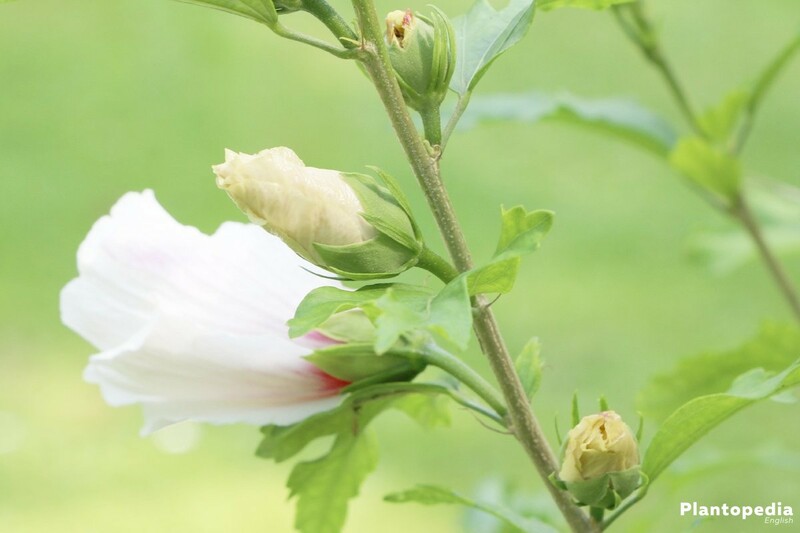 The approximately 300 different species of the mallow family form yellow, white, orange and of course the well-known red blossoms. 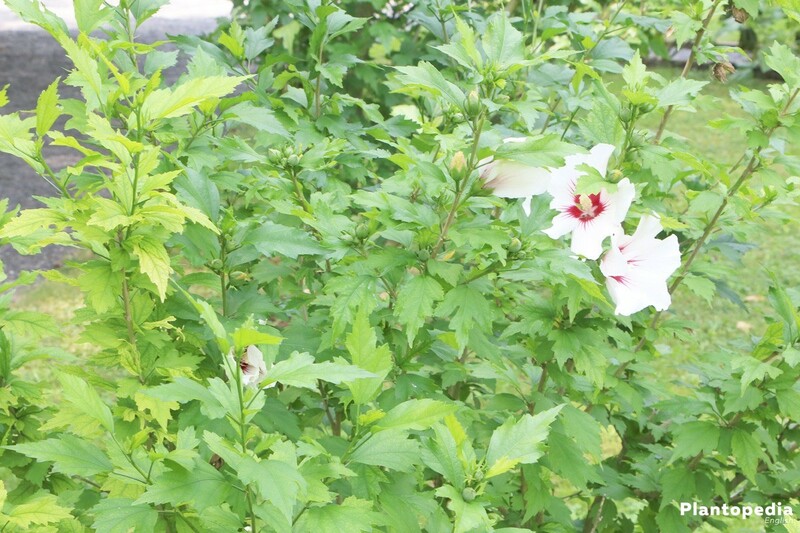 Even two-colored hibiscus is classed among the newer species. 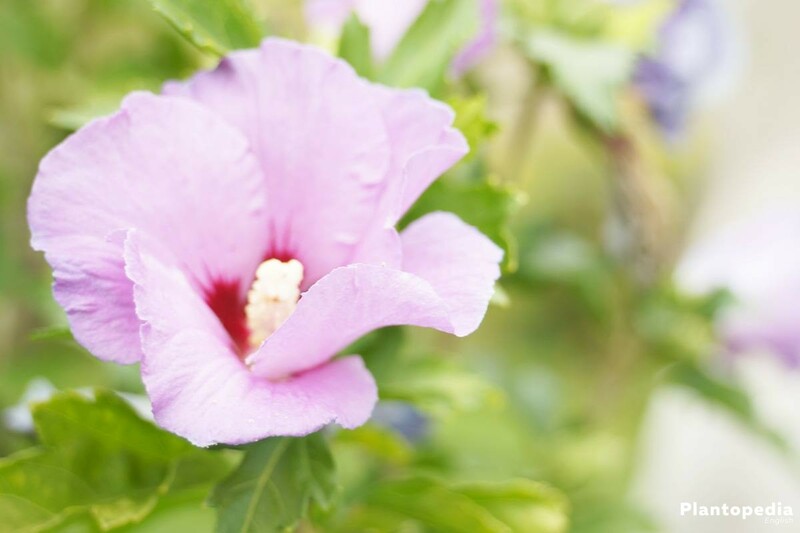 Compared to its conspecific, as indoor plant the hibiscus is able to bloom throughout the year in the garden. Even if the blossoms are faded after one day, they embellish the living space with its colorful splendor. 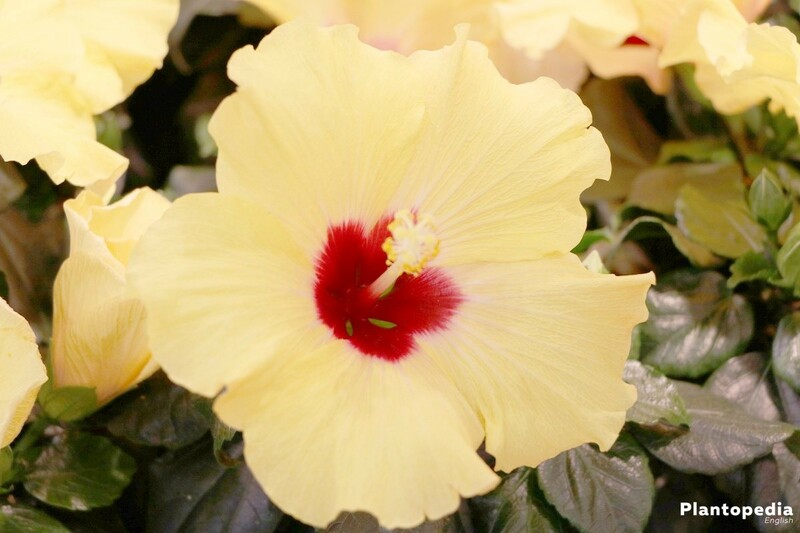 Here we are giving you a clear overview of the hibiscus’ care instructions. The cultivated hibiscus brings forth wonderful color variations, which are commercially available as indoor plant or garden shrub. 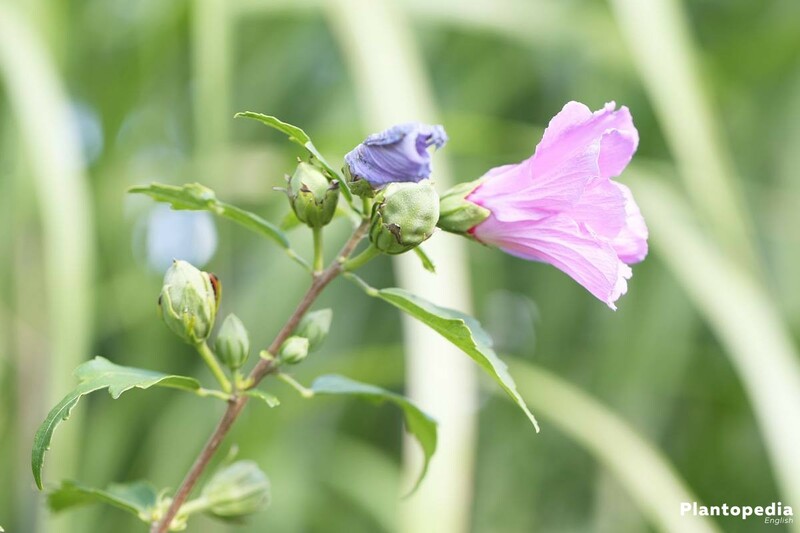 Wild-growing forms even show pink blossoms. Especially the diversity of the hibiscus makes this plant so appealing for garden lovers. 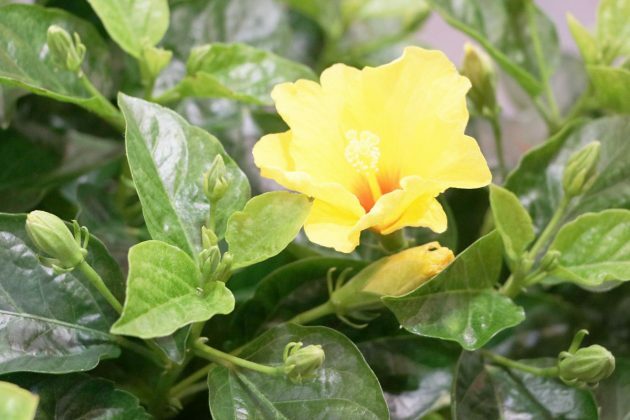 Follow our care instructions for this indoor plant and the garden shrub. 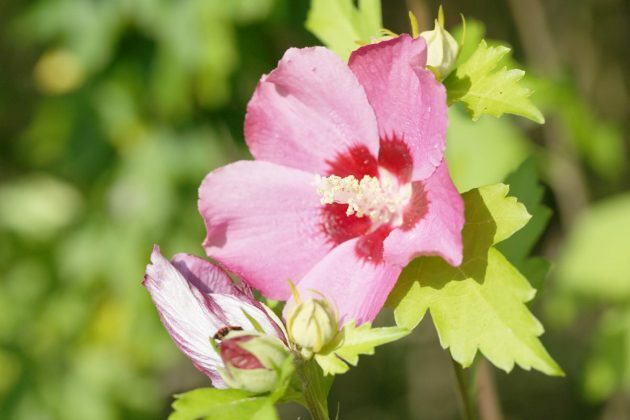 An important factor for the colorful blossoming of the hibiscus is its location. All species have one thing in common: They love the warmth and the sun. In the garden, this location should be simultaneously sheltered from the wind and large enough. Who, indeed, wants to plant the rose mallow in the garden should keep in mind that he/she will need a lot more space in a few years. In turn indoors, a sunny place with plenty of light is ideal. Be sure that no cold draught reaches the plant there. 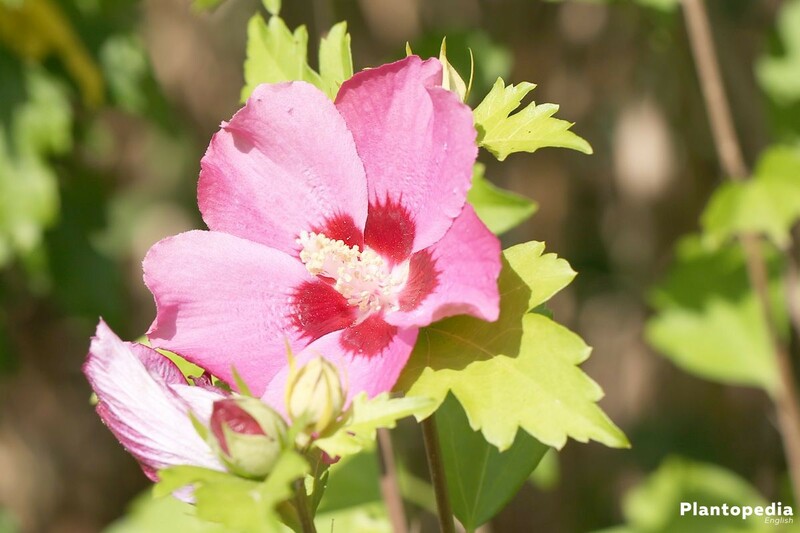 As a potted plant in the garden the hibiscus should not be repositioned, since it casts off its blossoms otherwise. Avoid a place, which is threatened by waterlogging. 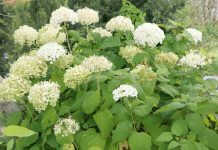 If the tubers get into standing water even for a short time, you will be on the lookout for beautiful fragrant blossoms in vain. Hence, the chocolate cosmos does not come into consideration for the greening of a pond or a stream. 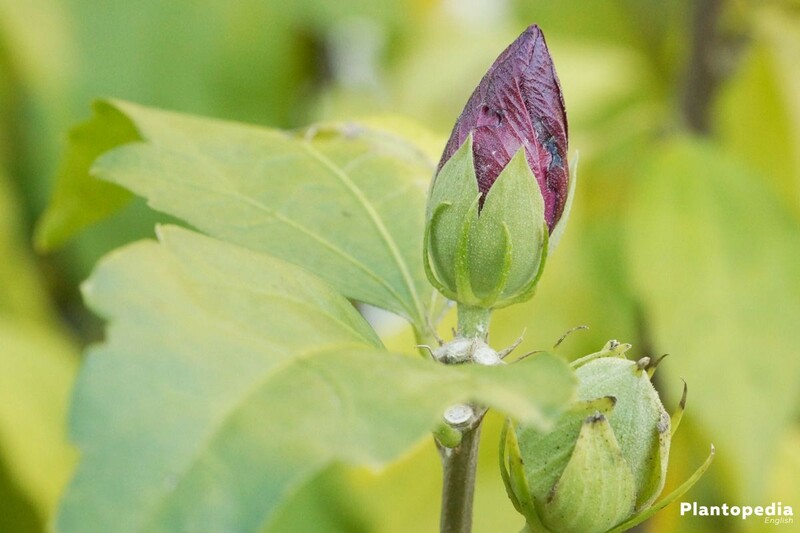 The young hibiscus in tubs should be planted in the spring. 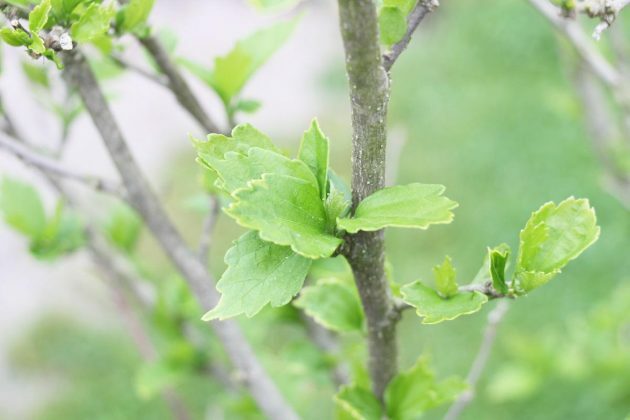 The young plants should not be immediately confronted with cold temperatures during the first winter. 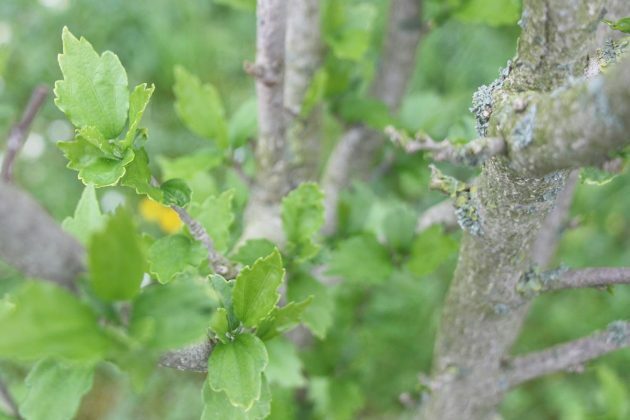 Spring after its last frost days is ideal both for the potted plant and the semishrub or standard plant. 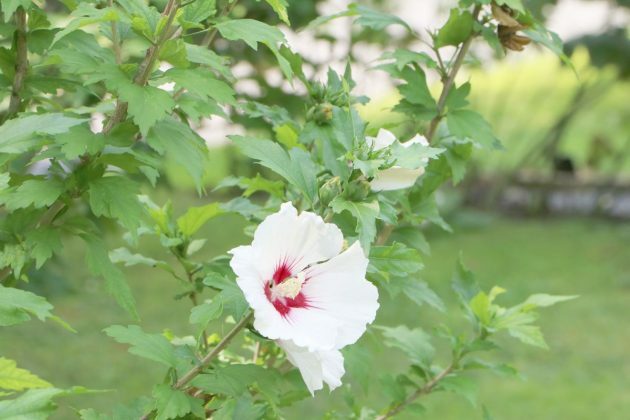 In case you have already prepared the soil with compost in the fall, the hibiscus will get ideal conditions for its growth. This planting time may enable the hibiscus to already bloom in the first year. However, decisive are always the growth conditions. When repotting, there will be dug a large enough hole into the ground. 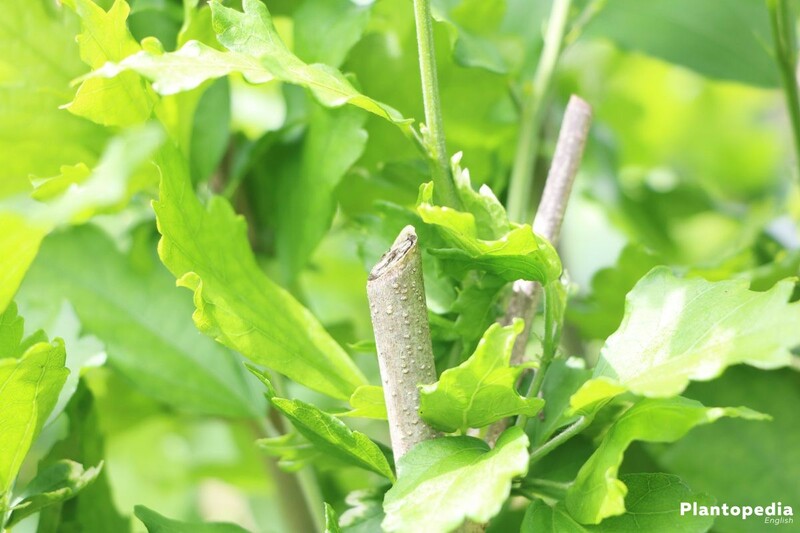 As long-term fertilizer compost or horn shavings can be added. 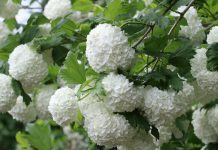 Prior to planting, it is recommendable to put the root ball into a bucket filled with lukewarm water. Afterwards, the ball is inserted into the ground, heaped up with fresh garden soil and pressed down firmly. Water it well, so that the roots can grow together with the new soil properly. The drainage of the water should still be ensured. Even the indoor hibiscus loves fresh soil in the spring. 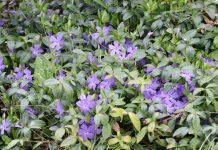 To ensure that many blossoms can be formed during the summer and the following months, the used up soil should be exchanged with fresh soil. Depending on the growth of the previous year, a larger pot might be necessary. For an ideal moisture balance choose a terracotta pot instead of a plastic tub. 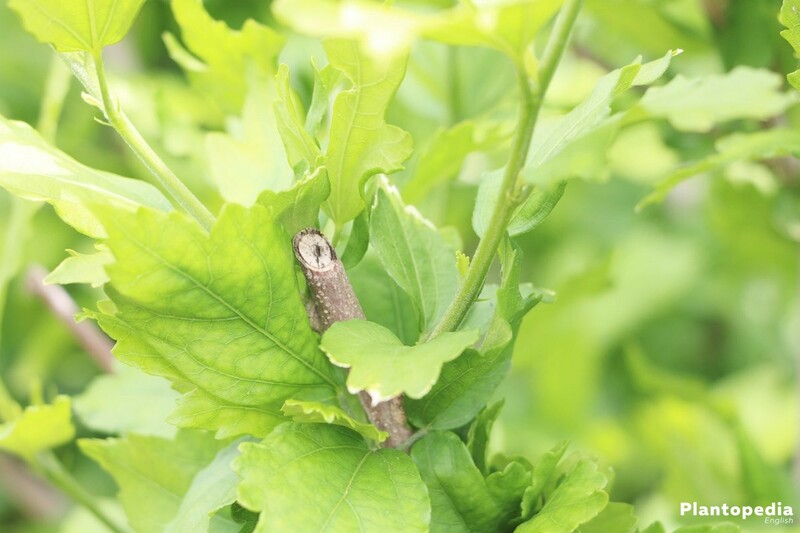 The former has the ability to absorb water and release it to the roots during dry periods. Thereby the risk of drying out is reduced during warm periods. The hibiscus needs a relatively large amount of water, yet it does not want to stand in the water with wet feet. 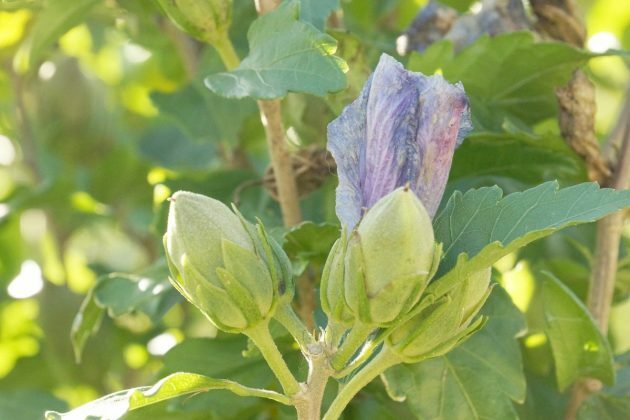 If it has too much water – which unfortunately can happen during long rainy periods – it quickly drops its flowers and flower buds. This always is a sure sign of too much water. Since there is nothing to be set against the rain, here again a drainage layer presents itself as a useful assistant. For the bottom layer pebbles, expanded clay or sand is used, all of which ensure that even larger amounts of water can run off and that the roots do not stand in the water. If the leaves become yellow and dry up, it is high time to act. It is possible that a part of the roots has already died back and is not able to absorb water anymore. At the same time, the root ball should never really dry out. 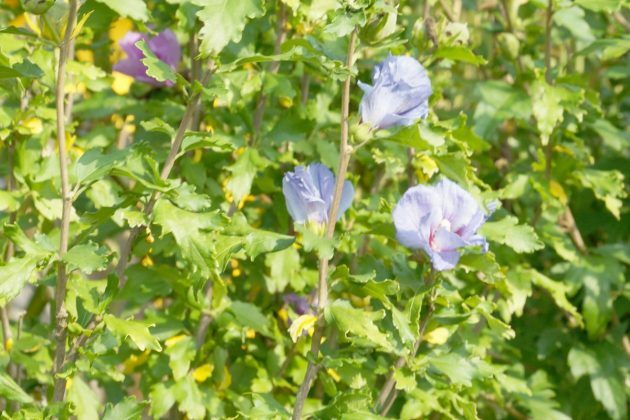 If this happens, the hibiscus, in contrast, lets its leaves hang down. 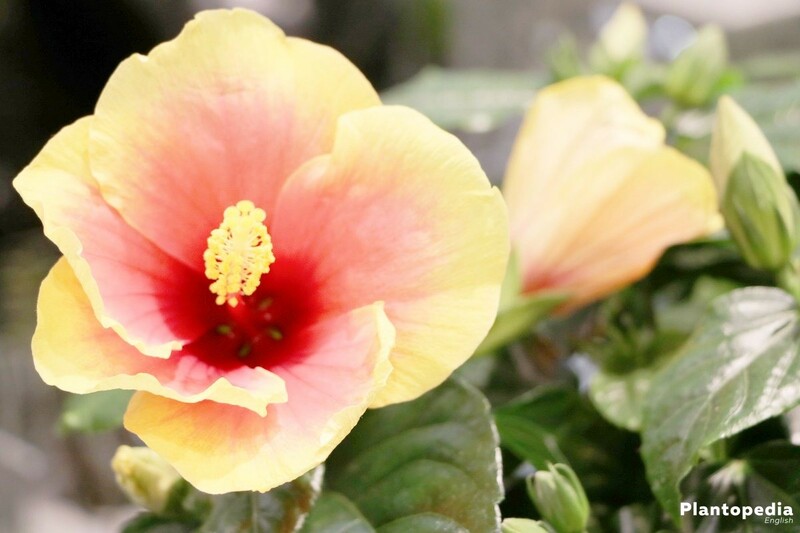 You can truly facilitate the watering of the hibiscus by using a terracotta pot. 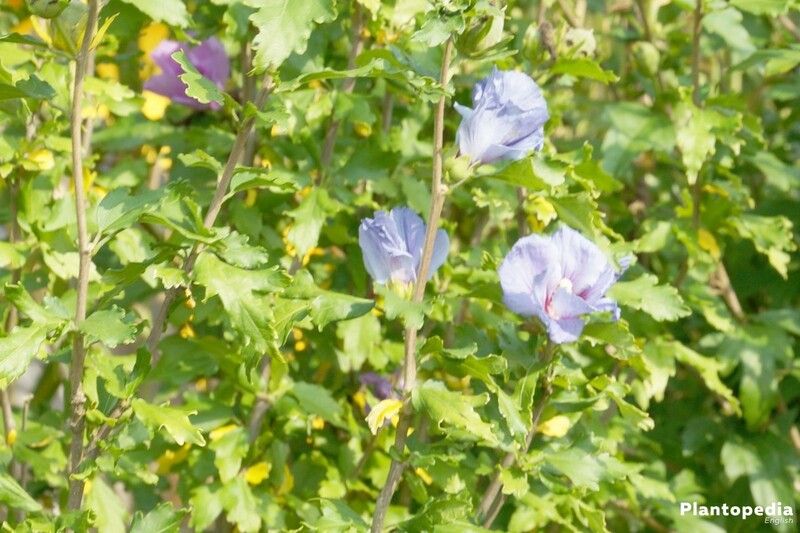 Thereby you can decrease the risk of soil which is too dry. The roots draw the moisture from its natural material. A planting tub made out of plastic does not bring along this advantage. If you water too much, the water should always be able to run off – in both types of pots. In case there is water on the pot holder, pour it away. 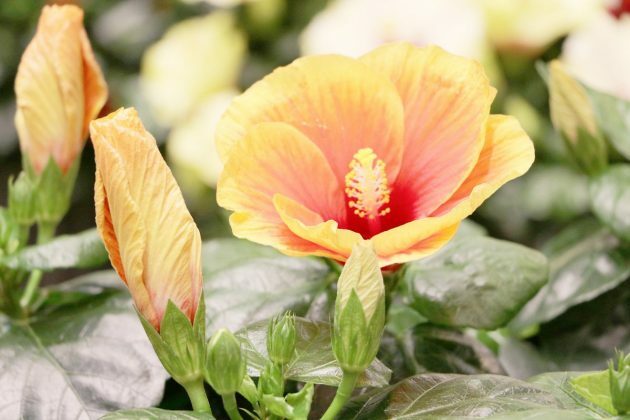 During the growing period fertilize the indoor hibiscus once a week with a customary flowering plants fertilizer, which is used according to the manufacturer’s specifications. 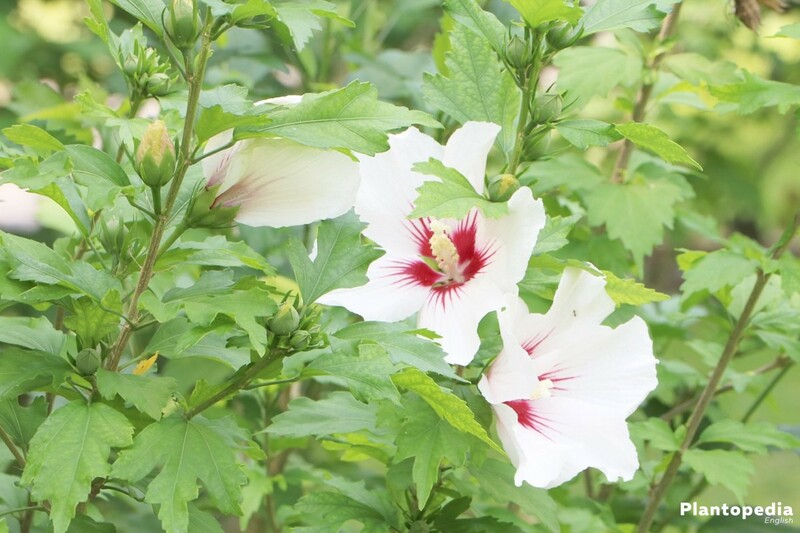 The hibiscus shrub flourishes very well with compost or organic fertilizer. Compost and horn shavings are especially useful for it. Compost is incorporated into the soil in spring, similar to horn shavings. Both fertilizers regularly release their nutrients into the ground, where the roots help themselves as needed. After the flowering season, starting from September, the hibiscus in the garden will not be fertilized anymore. 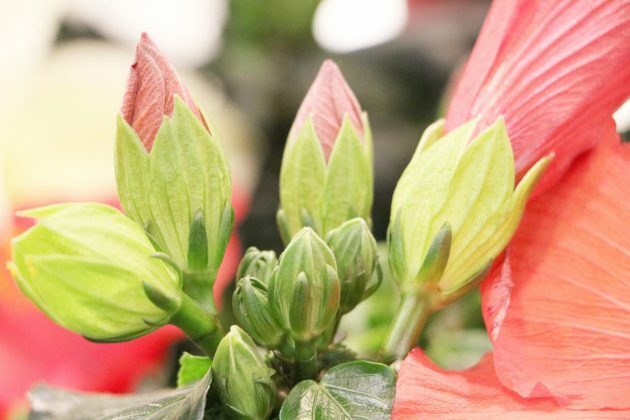 Even if the indoor hibiscus likes to bloom throughout the whole year, it should be allowed a resting phase during the winter months. 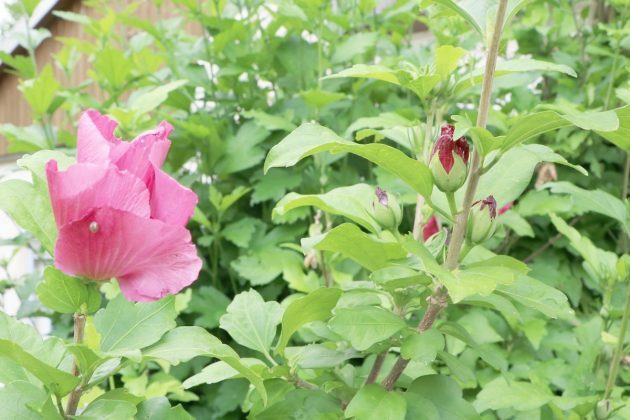 In the spring the hibiscus tolerates a generous cut. Depending on how large you wish your hibiscus to be, it will be cut down to 15 cm or simply thinned. It forms its blossoms on the young sprouts, which are also referred to as one-year wood. 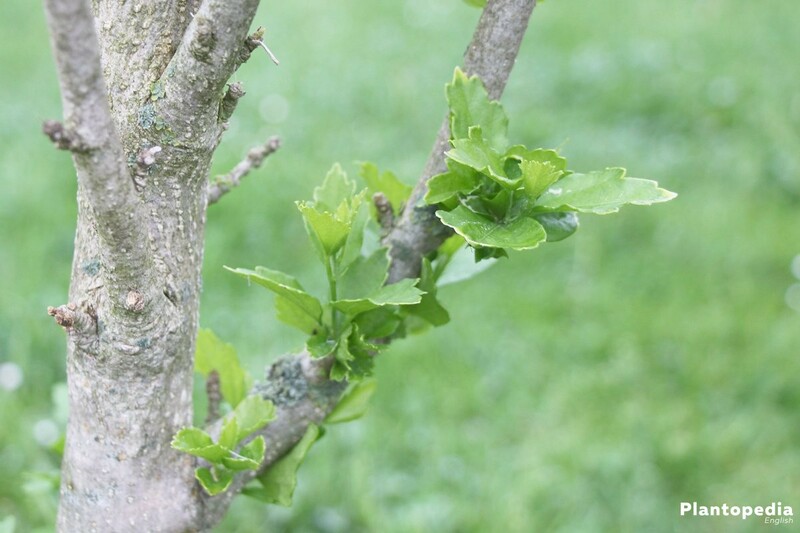 The more extensive the cutting back, the more young sprouts and blossoms it will bring forth. The hibiscus as indoor plant should also be cut in the spring. The biennial sprouts bring forth much less blossoms than the new budding. Not least, it can thereby be cut down to the desired size. 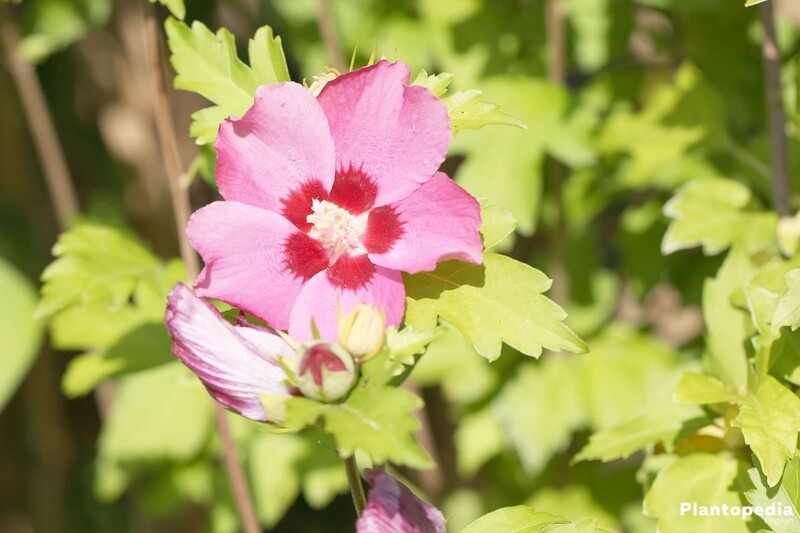 The hibiscus can be propagated very well by cuttings. This applies to the indoor hibiscus, as well as to the hibiscus shrub. 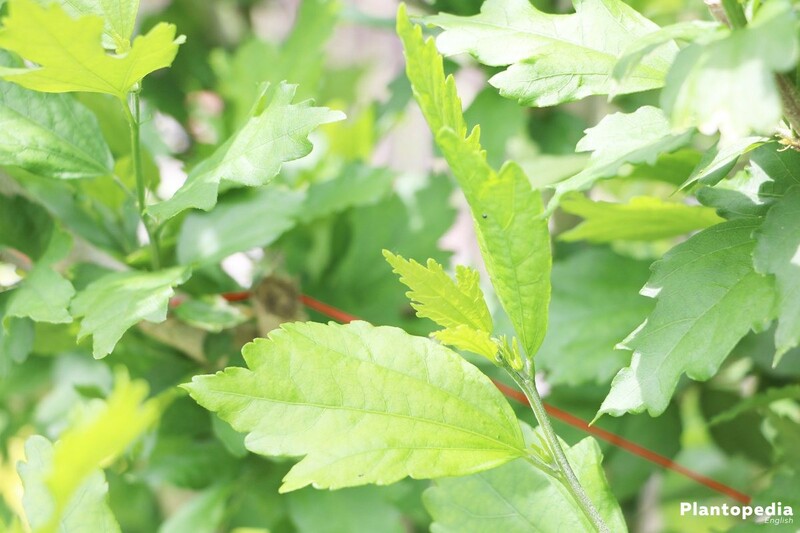 During the propagation by cuttings a completely identical plant develops, so to say a clone. 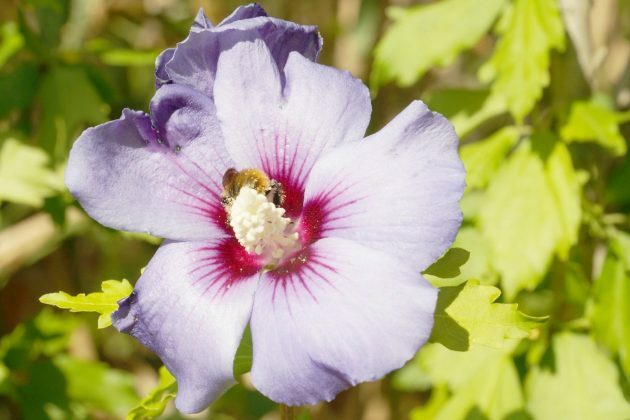 On the other hand, you can also use seeds for sowing. The location requires approximately 18 – 20 °C, the cultivation soil has to be kept evenly moist. 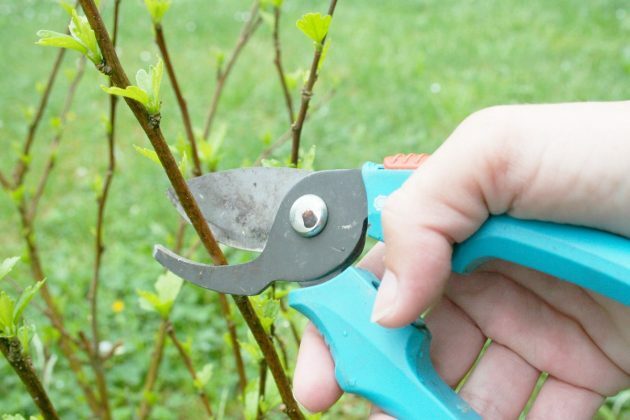 In a planting tub about four to five cuttings can be inserted. After the Ice Saints in May the plants can be put outdoors or into the pot. 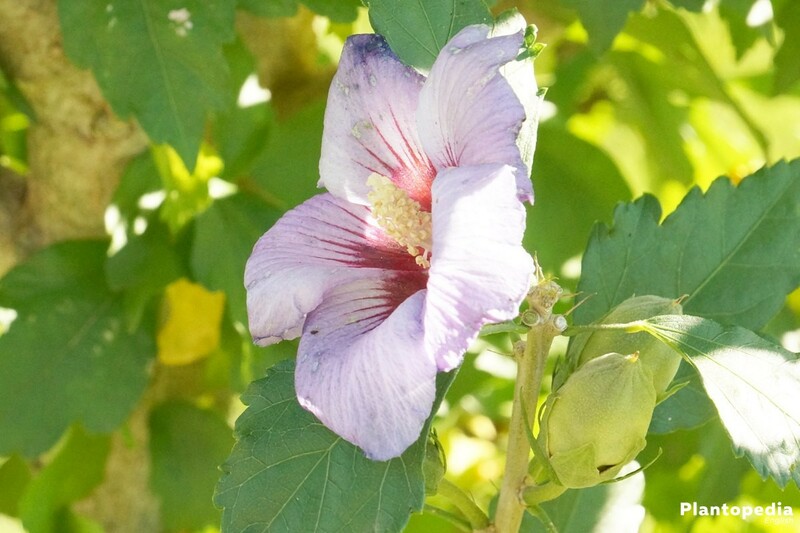 Since the hibiscus brings forth small capsule fruits, you can also collect seeds. 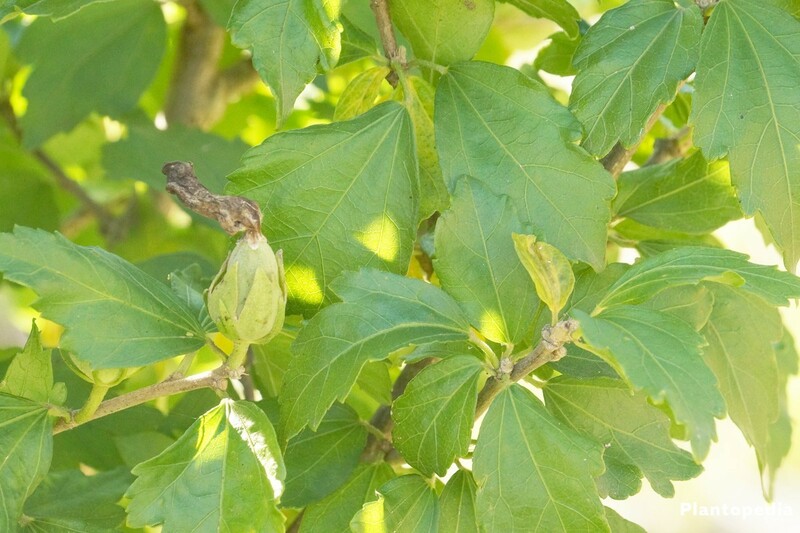 Many plant lovers bring along seeds from their holiday destinations. 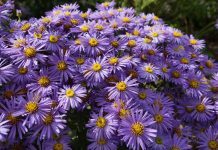 When sowing you should keep in mind that from the germination of the seed to the growth of an elegant plant it can take several years. However, you will be pampered with a constantly growing indoor plant, which brings forth beautiful flowers if well maintained. The seeds require pretreatment, since the coat is very hard. By cutting into the capsule you can facilitate the germination. When cutting into it, the light yellow kernel should be visible, this is a good sign that the seed is germinable. However, if the inner part is brown or black, an effort will not be worthwhile. For those who prefer it less dangerous, roughen the surface of the seed with sandpaper in order to reduce the surface. 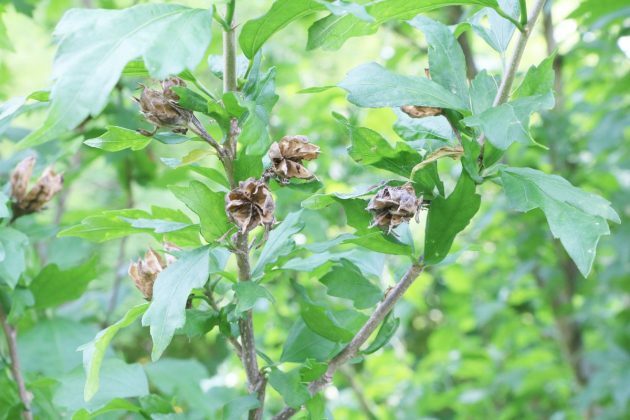 Then the seeds will be put into lukewarm water for about 24 – 48 hours. A constant temperature would be ideal, which promotes the germination. 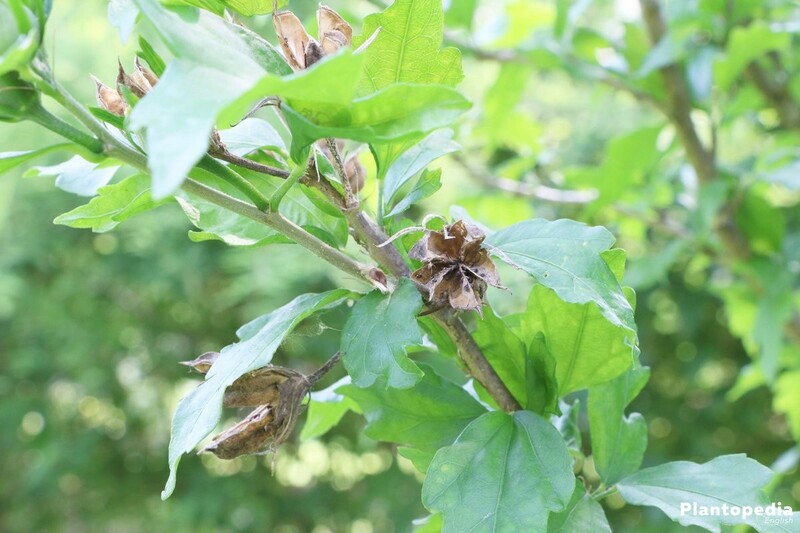 A species-appropriately maintained chocolate flower is largely safe from diseases. 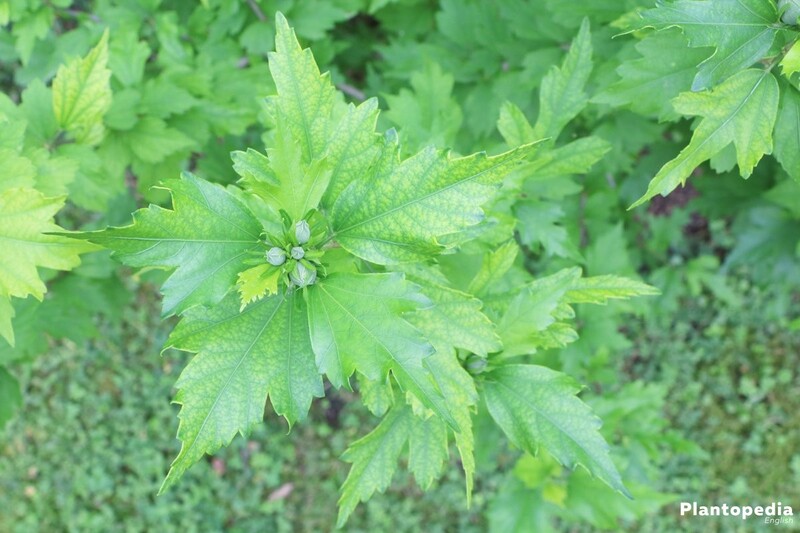 In the case of unfavorable weather conditions, which are accompanied by permanently moist leaves, the fungal infection mildew can become a health issue. 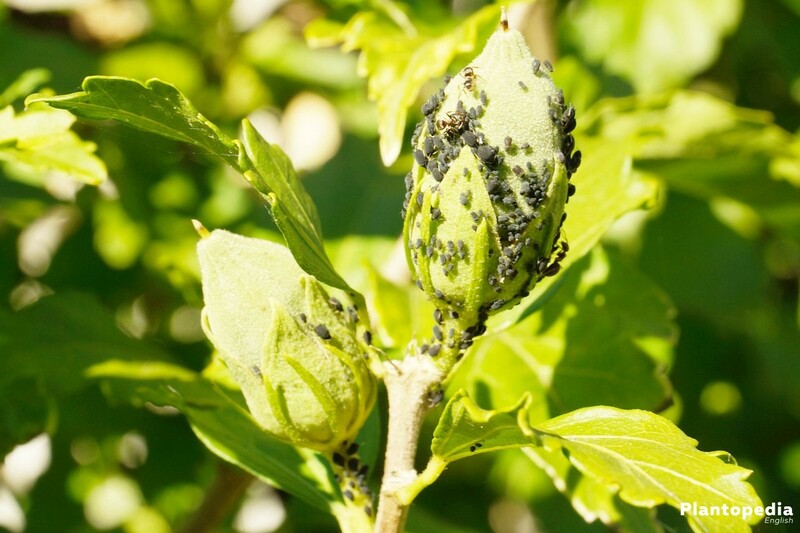 If a grey/white, floury coating spreads on it, there is an urgent need for action. 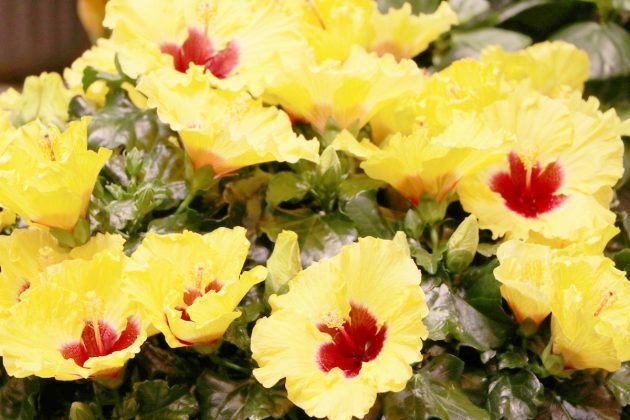 First of all, cut off the infected parts of the plant and dispose of them in the household garbage. Afterwards mix lime-free water and fresh milk at a ratio of 9 to 1. Spray this mix onto the infested flower every 2 to 3 days until there are no symptoms remaining. 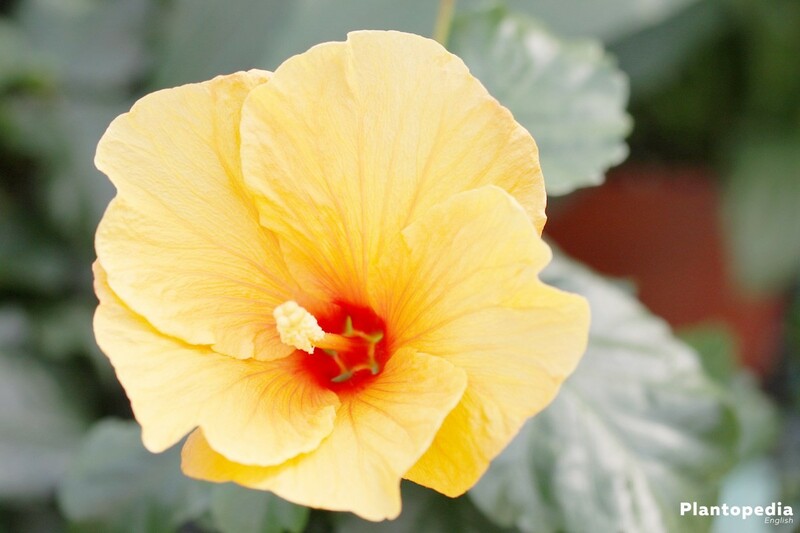 The indoor hibiscus can sometimes suffer from leaf thickening. The reason for the unpleasant leaves is the wrong location. 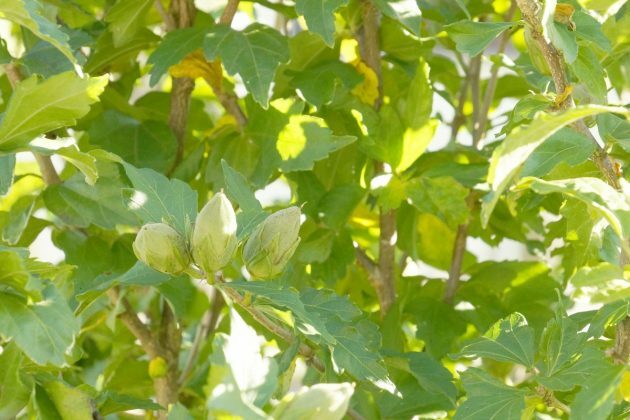 Further measures, except for replacing the plant, are not necessary. A strong water jet is able to rinse off most of small animals. In the garden, use the nozzle of the garden hose; for the indoor plants, simply rinse them off in the bathtub. As biological product you can use soft soap. Therefor a tablespoon of it gets dissolved in one liter of water and spread over the affected sprouts. 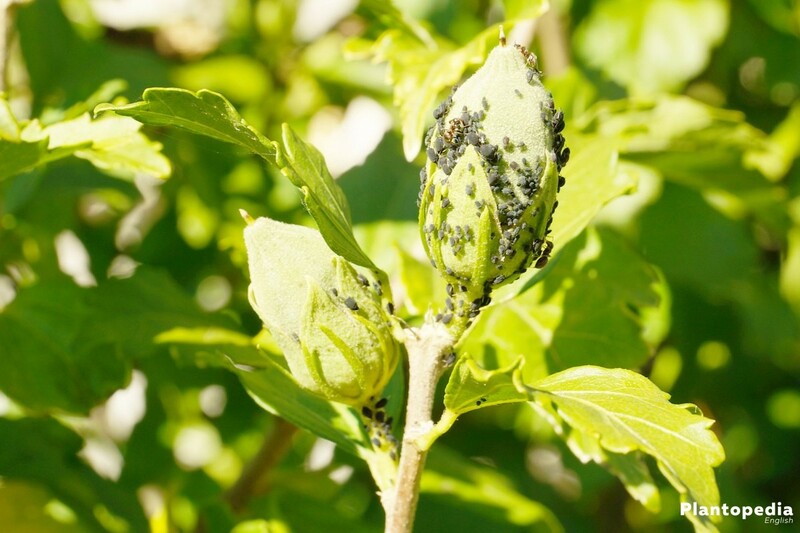 The tiny red spiders can be recognized under the leaves. Most of the time they have to be fought against with a lethal injection. The trade offers various products therefor. Please make sure to follow the essential instructions. 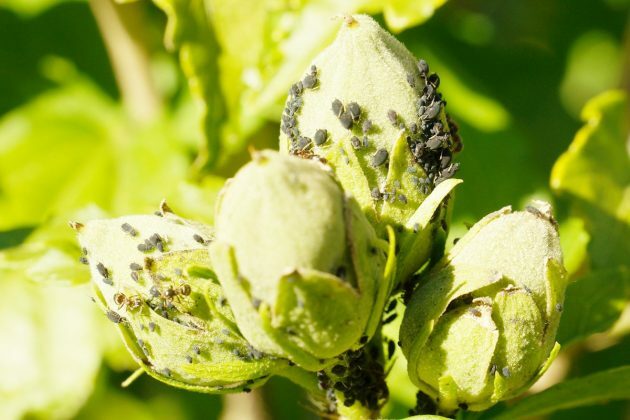 Also known as Tobacco Whitefly, these parasites cause the leaves to yellowing and to dry out. At the bottom of the leaf you can see small white flies. The top of the leave, on the other hand, shows an unpleasant, sticky coating. 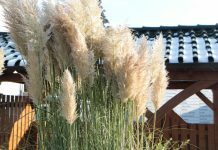 The plants should stand in a place, which is preferably airy and with low humidity. As further measures adhesive traps can be helpful. These have to be hung up in the room. 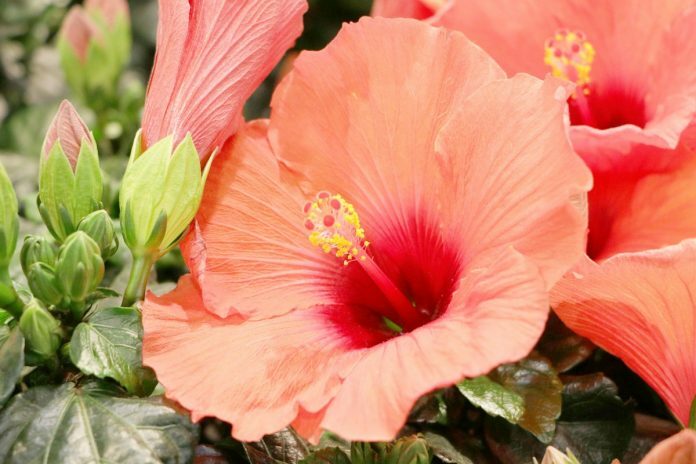 Nowadays there are approximately 220 species of hibiscus, which establish magnificent blossoms in form of a shrub or a tree. 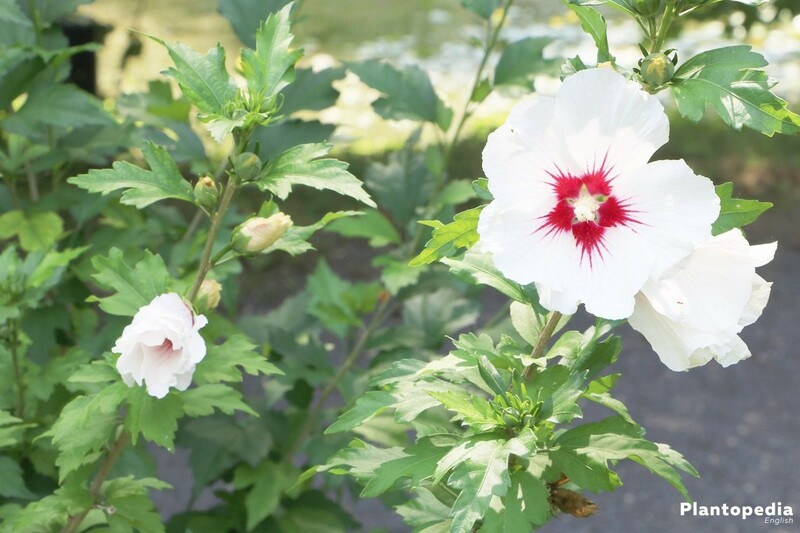 There is a distinction made between single and double flowers, which embellish the garden with its white, yellow, pink, as well as intense violet or even rust brown color. Here we are presenting you some of the prettiest species.